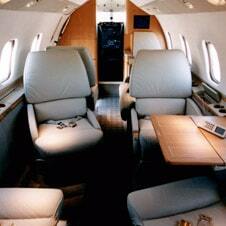 The Learjet 60 is Bombardier’s true midsized jet offering stand-up cabin comfort and room for 7 passengers. There is good luggage capacity and the range on this aircraft is 5 hours. A flight attendant is optional.